La Raza | Welcome to the Cocktail Lounge! Welcome to the Cocktail Lounge! 28 Apr Welcome to the Cocktail Lounge! 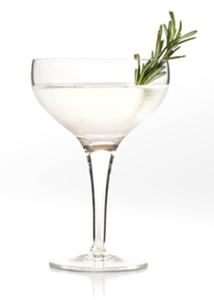 What could be better than sipping the perfect Martini (ice cold, lemon twist, very dry – but that is just us! ), in classy cocktail lounge. The cocktail lounge came into fashion in the 50s and 60s and often described the laidback plush hotel bars, or cosy cocktail bars that focused on providing customers with the perfect drink, in a place where they could talk and relax. There was often a piano player, maybe some low-level jazz through speakers, something that played second fiddle to good conversation and good cocktails. Cocktail drinking and dedicated bars and lounges are very much back in fashion, you virtually trip over new bars offering a new take on the cocktail in London – and there’s something for everyone from Sochu Lounge, the Japanese drinking den, to something more chilled and upscale like The American Bar at Brasserie Zedel. Punters want to chat to their mates, in a classy environment and to have the bartenders mix up the classics and the cutting edge, some nibbles don’t go amiss either. So this month at La Raza we’re going unplugged, to create that laid back cocktail lounge vibe. If you want somewhere for great, affordable cocktails (2 for £10), delicious bar snacks and tapas, to chat to your friends, and listen to chilled out tunes – come see us this month. Free entry too.